Everyone loves a good barbeque, especially on Labor Day. Choosing the right one will make or break or party. So which grill will be the best taste, the easiest to use and the most bang for your buck? We compiled a list so you don’t have to. Best Taste – This depends on the type of food you are cooking. 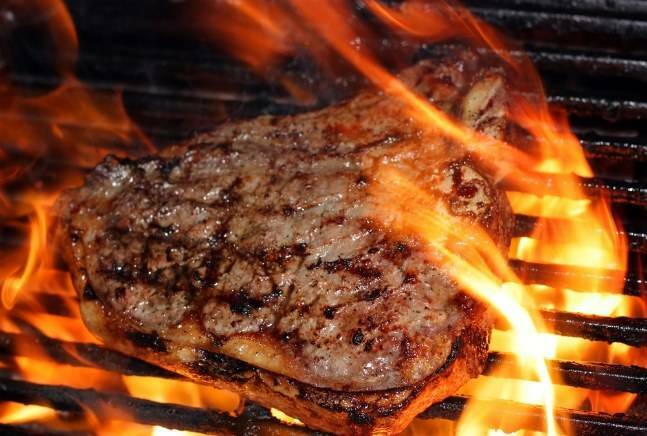 A study found that while hamburgers had no difference in taste on a gas or charcoal grill, a grilled steak had a smokey flavor on the charcoal grill. The charcoal grill also offers the option of adding flavored woodchips instead of coals to add some delicious variety to your dinner. Easiest to Use – Gas is the winner here. It’s a lot easier to turn some knobs than have to deal with adding charcoal and setting it on fire. Clean up is also a huge hassle on a charcoal grill and it can take up to 20 minutes to get warm enough to use. That’s no good with hungry neighbors looking over your shoulder! Most Bang for Your Buck – Charcoal is the cheapest grill you can find, but the most expensive to fuel. While charcoal might cost you $5 a cookout, the gas grill will only cost you 20 cents at that same party. Charcoal grills also need lighter fluid, which can cost around $6. In the long run, a gas grill will save you the most. Which should you choose? They both have their pros and cons, but the real answer comes from your priorities. If you are looking for easy use or to save some money, a gas grill will get you there. But if you’re looking for delicious taste, charcoal is your best bet. No matter the grill, a barbeque is no fun when mosquitoes are around. Squash them with the Mr. Mister mosquito control system. With the mist, they don’t exist!